The Ontario Marriage Registry for Russell County contains the following record: No. 16930-06 Joseph George Turner, 22, railroad work, (born) Ottawa, (residence) Coteau Station, Quebec, s/o Francis Turner and Emma Lapointe married Bernadette Joanisse, 20, dress maker, (born) Rockland, (residence) same, d/o Jules Joanisse and Délina Quévillon, witness Francis Turner and Marie Levesque, both of Rockland, 22 August 1906 at Rockland. Happy Holland came by his nickname honestly – he was happy-go-lucky with a standout personality to match. 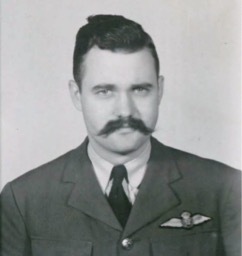 He was an ace Mosquito pilot in WWII who died in a mid-air collision in 1944. Excerpt from A Melding of Cultures Ancestors of George Turner and Bernadette Joanis Volume 1 Our Turners: Canadian Transportation Pioneers, Mark Cullen, Vancouver, 2013, pp 83-100. 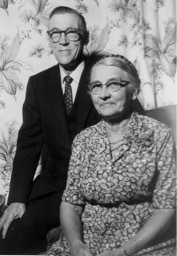 George Turner followed in his father Frank's footsteps as a railroad engineer, and also by marrying Bernadette Joanis in 1906, thereby extending our French Canadian ancestry. 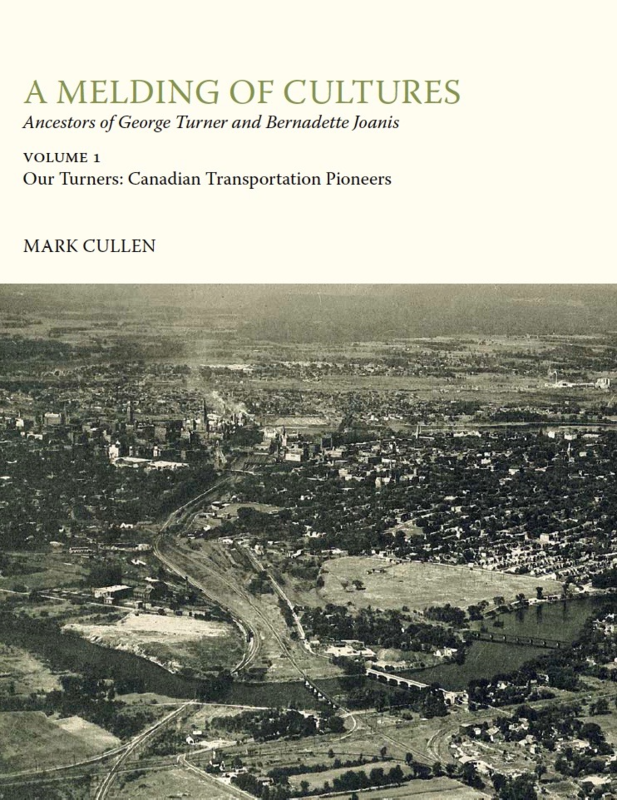 Excerpt from A Melding of Cultures Ancestors of George Turner and Bernadette Joanis Volume 1 Our Turners: Canadian Transportation Pioneers, Mark Cullen, 2013, pp 63-82, 215-230 and 269-270. [S41] Ancestry.ca, Ontario Marriages, Russell County, 1906, Page 37. [S15] Notre Dame de Lourdes de Cyrville 1873 - 1985, SocieteFranco-Ontarienne d'Histoire et de Genealogie 1986, 43.